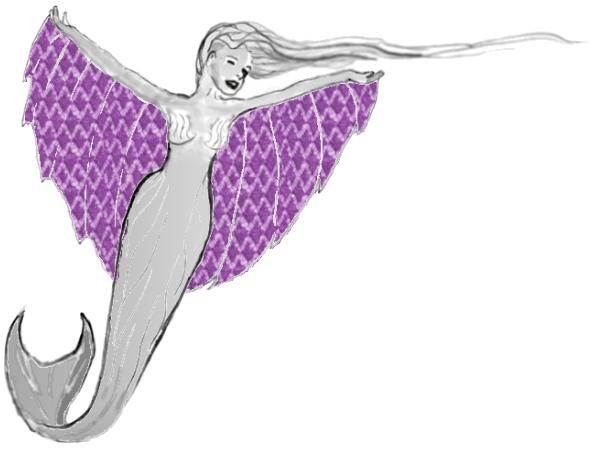 For centuries, many cultures have associated lace with mermaids. Traditionally made in white, lace was as ethereal and evanescent as the foam of the sea. The Shetland islanders tell of the sad young widow who came daily to the shore, mourning her young husband lost at sea. In pity, the mermaids churned the sea foam into a beautiful pattern for her to copy in knitted lace. The women of Burano in the lagoon of Venice associate mermaids with the origins of their exquisite pillow laces. Siren-like, the cruel mermaids sang to lure unsuspecting mariners to crash into rocks and drown. Only one young man was able to resist, due, he said, to thoughts of his own beloved. As a gesture of respect for so amazing a woman, the mermaids created for her a lace veil made of foam. Add some romance to your wardrobe with fabulous lace, a gift from the mermaids.